Billets 1CPB took over near Uzelen Germany Apr 22 1945 by Pte Doug Morrison 1CPB. 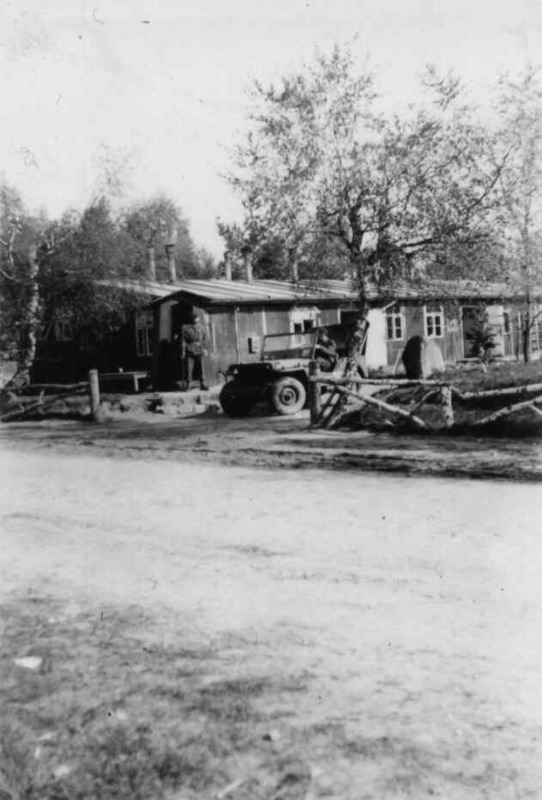 “Billets we took over near Uzelen April 22nd 45” 1 Cdn Para Bn in Germany. There is a paratrooper standing guard with a rifle in front of a German sentry box. The jeep driving out is from another unit in the 6th Airborne Division and has the unit sign “81”. The vehicles of 1 Cdn Para Bn had the unit sign “57”.Photo by Pte. Doug Morrison ex-B Coy, then Vickers Platoon, HQ Coy, 1 Cdn Para Bn 1942-45. Out of the Clouds – The History of the 1st Canadian Parachute Battalion by John A. Willes (assisted by Mark Lockyer) 1981 and newer edition which includes more photos including group company photos of Jan 1944. Paratrooper (The Story of the 1st Canadian Parachute Battalion’s First Regimental Sergeant Major, Warrant Officer Class 1, Wendell James (Knobby) Clark) by Colonel Gary H. Rice (Ret.) Mississippi Mills, Ontario. Newly published in 1999 as a private venture in Ontario, Canada. [Note: There is at least one other book previously published with this title.] This web site editor has not seen the book so cannot comment on the book.